You may subscribe to the What's New page so that you get notified each time a new post appears. The method depends upon your personal preferences and available software. If you are a user of Microsoft Outlook, you may elect to receive an email with the content of each new post, using Outlook's built in RSS Subscription feature. In Internet Explorer Version 8, as well as Firefox, you may subscribe to a feed, and have the headlines for new articles show up right in your browser. 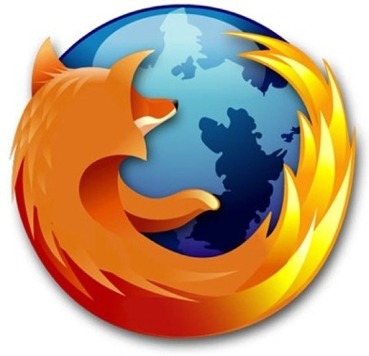 Firefox also gives you the option of earmarking the feed for Outlook, the newsreader in your Yahoo or Google accounts, or a specific newsreader application (there are over 2000, most free). Below are instructions for subscribing to the Breaking News! feed in each of several browsers, as well as generic instructions for Microsoft Outlook. With the Breaking News! page open in a browser window (any browser), right-click (Ctrl-click on Mac) on the word "RSS" to the right of "SUBSCRIBE" and select "Copy Link Location" (Firefox), "Copy Shortcut" (Internet Explorer), "Copy Link Address" (Chrome, Opera), or "Copy Link" (Safari). Now, in Outlook, on the Tools menu, click "Account Settings". Then, on the RSS Feeds tab, click "New". Finally, click in the "New RSS Feed" dialog box, and PASTE the link you copied above into that field. Click "Add" and then "OK" to exit. New posts to Breaking News! will show up in a mail folder called "RSS Feeds"
While viewing the Breaking News! page in Firefox, simply click on either the Atom or RSS link to the right of SUBSCRIBE. In the window that appears, select a subscription method from the pull-down menu next to "Subscribe to this feed using..." and then click "Subscribe". If you happen to choose "Microsoft Office Outlook", all of the steps in section above about Outlook will be done for you automatically. You may also choose to add the feed to your Yahoo! or Google accounts, or any other newsreader. Note that if you have previously changed the default subscription behavior of Firefox, then the above procedure will not be available (but you probably already know that). In Microsoft's Internet Explorer 8 (and reportedly 7), simply click on the "RSS" link to the right of "SUBSCRIBE" on the Breaking News! page. In the page that opens, click on "Subscribe to this feed". In the confirmation dialog box, click the "Subscribe" button. Note: if you check the box "Add to Favorites Bar", a "Breaking News!" icon will be added to your Favorites Bar at the top of the browser. New posts will automatically show up under the Feeds tab under View>Explorer Bars > Feeds, or the Favorites Bar icon, if you chose that option. In Safari, while viewing the Breaking News! page, simply click on "RSS", and a new feed window will open up. In the right menu, under "Actions", select "Add Bookmark..." and a "Breaking News! button will be added to your Bookmark Bar at the top. Unlike Firefox or Internet Explorer, Safari does not dynamically update itself to find new posts. You have to press the button to get the latest feed. Click either the RSS or ATOM link, and Opera will open a subscription window. In the pulldown menu, you have a choice of newsreaders to select from. Choose the one you prefer, and select "Subscribe". Google Chrome does not actually have a subscription feature. If you click on either RSS or ATOM on the Breaking News! page, however, you will see what a feed really looks like. For the terminally curious, only. For more information on feeds and feed readers, consider this Feed 101 article from Google.